Textured oval cufflinks made from recycled silver. 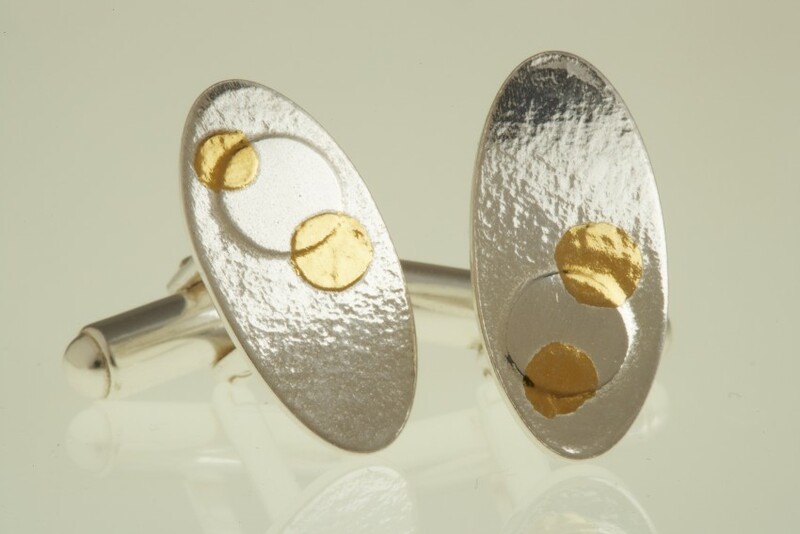 Smooth mirrored circles raised and 24 carat ethical gold is fused to the surface to symbolise the sun and the moon. Length of the cufflink is approximately 22mm with a width of 11mm.